I love these nacelles, but they scream out for the entire ship. Whatever happens on that front is what happens, but you've outdone yourself with the work on these nacelles. They look spot on. 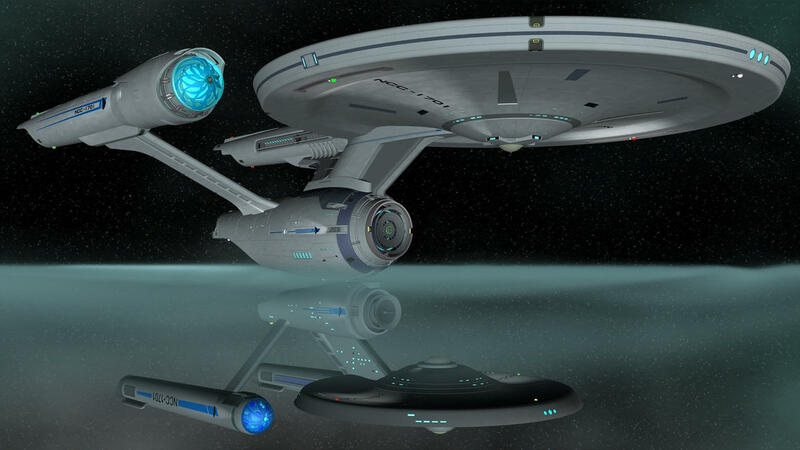 Del wrote: I love these nacelles, but they scream out for the entire ship. Scream? I just love screamers. Moongrim wrote: Scream? I just love screamers. The Sci-Fi movie... or women? IDK Mods, was that beyond the realm of good taste? Id buy'em. Just sayin I would try contacting him. He might just give the approval. Burke wrote: Id buy'em. Just sayin I would try contacting him. He might just give the approval. The whole ship looks like it't be a prety simple conversion of the existing Ent-A kit. I just have to modify the nacelle pylons, the neck and the saucer impulse engines. A few other small tweeks here and there and BAM! Done. I might try to get to work on the pylons this weekend along with the connecting points on the nacelles.